The Grayling Opera House burned down prior to 1930. A quote from the July 5, 2012 Houghton Lake Resorter regarding the Rialto Theatre in Grayling. George Stancil said he has worked at the Rialto since the age of seven and is currently the manager at the theatre, which he said was the first of many built in Northern Michigan by his grandfather George Olson and his brother and partner W. James Olson. 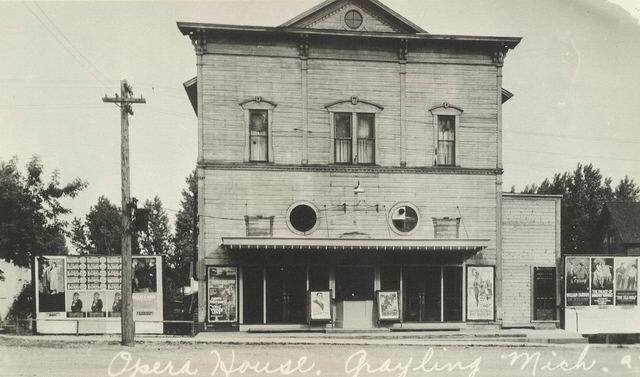 The theatre was housed in the Grayling Opera House in 1915, and the current theatre building was constructed in 1930 after the Opera House burned down.